There are over 800 miles of hiking trails traversing through Great Smoky Mountains National Park, making Smoky Mountains hiking very popular. Besides the paved path to the summit of Clingmans Dome, there are several hiking trails that intersect with Clingmans Dome, and many of the trails in the park intersect, making them accessible for Clingmans Dome hiking. A National Park Service trail map is a must and available online or at the park visitor centers. 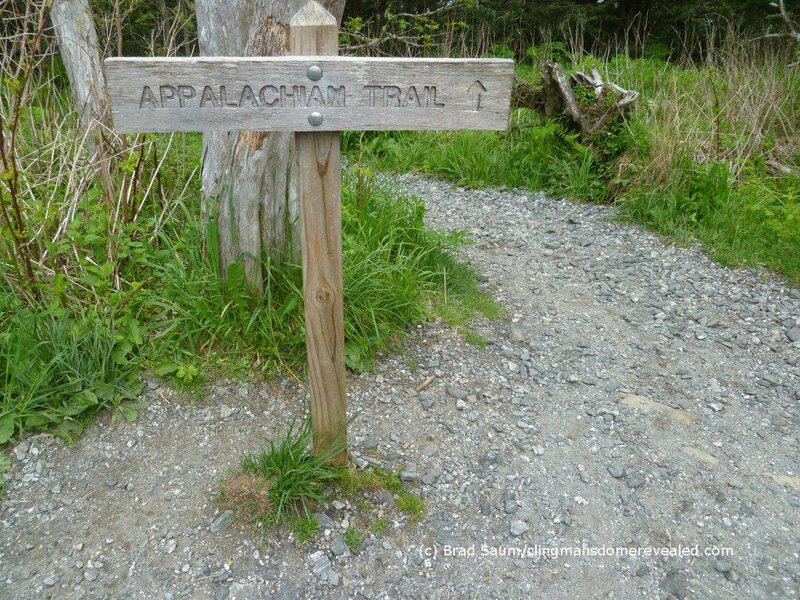 The Appalachian Trail (AT) crosses Clingmans Dome, marking the highest point along its journey from Georgia to Maine. From Newfound Gap, there is a 7.7 mile section of the Appalachian Trail leading to Clingmans Dome, which is popular for hikers seeking the summit. 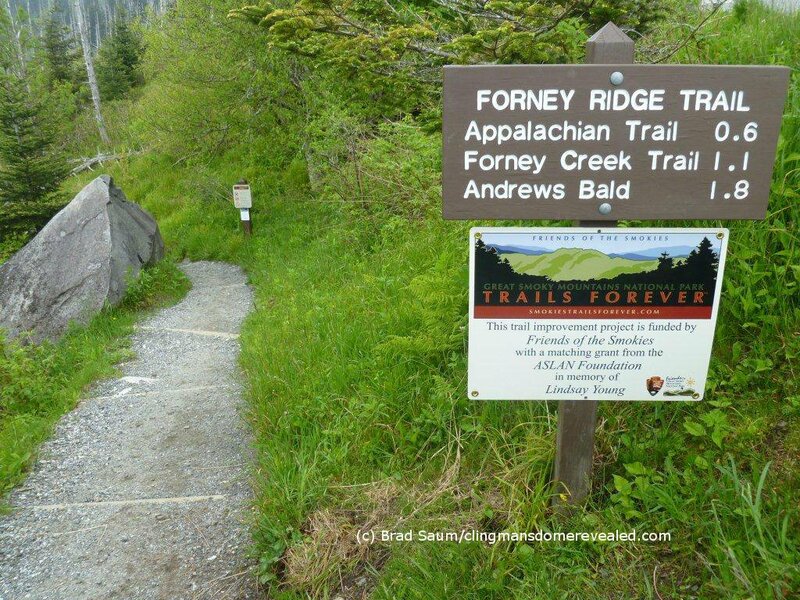 Along with the Appalachian Trail, Clingmans Dome hiking also includes the Forney Creek Trail and the Forney Ridge Trail, which are directly accessible from Clingmans Dome. All three of these hiking trails connect with many other trails in the park enabling Clingmans Dome hiking trails to be reached from many places in the park. If venturing off the paved trail from the parking lot to Clingmans Dome, learn about hiking safety and potential risks in the backcountry of Great Smoky Mountains National Park. Always prepare yourself with knowledge and remember to good judgment at all times. Do not attempt to cross flooded streams. Bring plenty of water, or know proper methods for treating water. Do not drink water directly from mountain streams. Be prepared for changing weather conditions. Even in the summer, cool rainy days can result in hypothermia. Treat bear encounters with extreme caution. Wild bears are relatively common in the Smoky Mountains, learn proper safety precautions. Careful footing is required as the moist and changing topography can be slippery. Always be careful and enjoy Smoky Mountains hiking!